For twenty-seven years the Sugar Meister of Northwest Park, a.k.a. 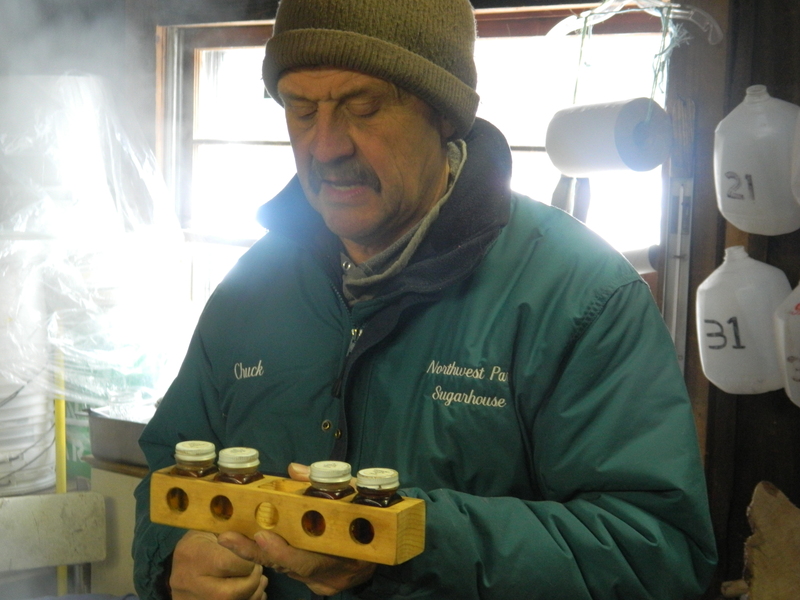 Chuck Drake, has been making maple magic in Windsor, Connecticut. 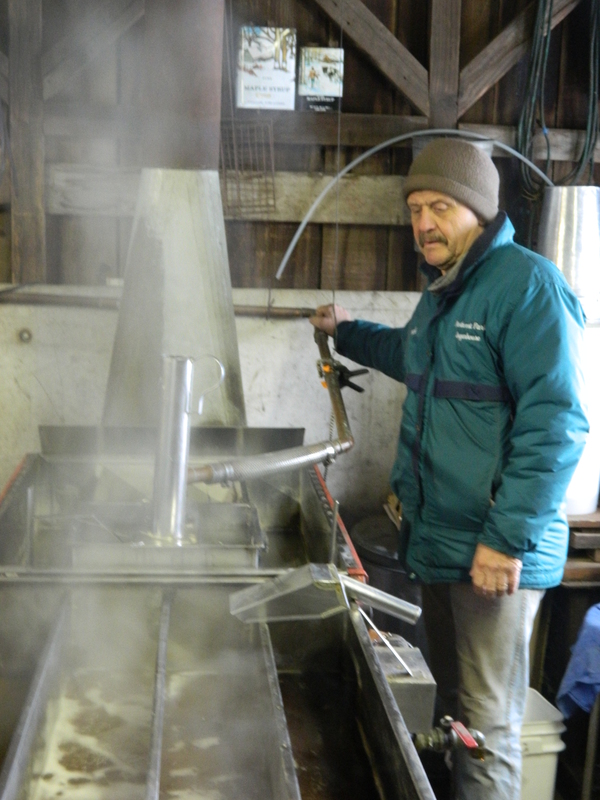 Working as a volunteer, Drake has overseen growth of the park’s maple sugaring program from seven up to 210 tree taps. 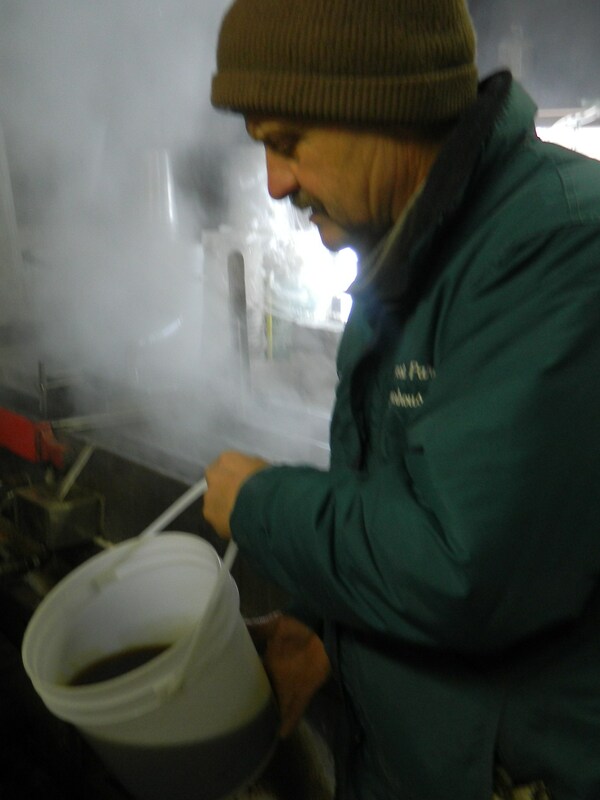 Using a wood-fired evaporator, within a five week period the program hand produces between forty to sixty gallons of pure maple syrup annually and hosts demonstrations of the process each weekend from mid-February to mid-March. 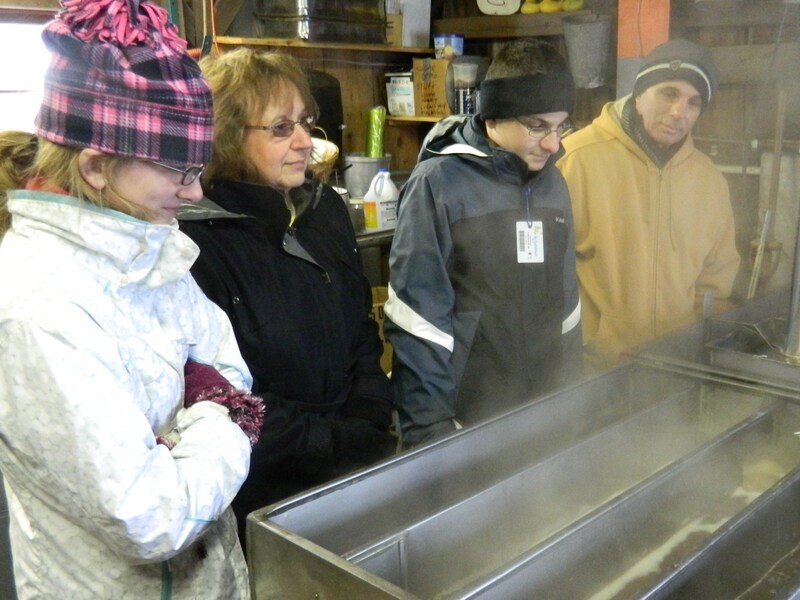 A March 23 Friends of Northwest Park Pancake Breakfast will culminate the yearly maple sugaring ritual where as many as 600 breakfasts are expected to be served at the park. “The key is always making sure you have liquid in the pan when using a wood fire,” Drake said during a February 17 demonstration. 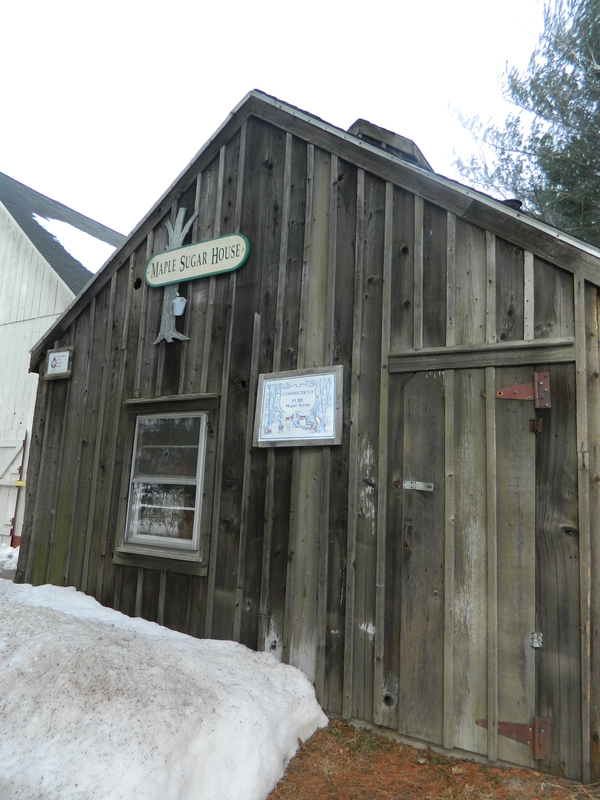 About half a dozen visitors had stopped in to the maple sugarhouse on Sunday morning trekking over the snow and braving the day’s chilled and windy weather. For Sara and Eric Rodonis of West Hartford who attended with friends Terry and Mike DeCarlo of Windsor, clearly the sweet aroma filling the sugar shack was ample reward for their hardy sojourn. “My favorite part is the scent of the room changing because of the maple syrup,” said Sara Rodonis. Sara Rodonis, Terry DeCarlo, Eric Rodonis and Mike DeCarlo. Wood is used for fuel because it is inexpensive, noted Drake. About every seven minutes he added small pieces of seasoned wood to the keep the flames going. “I use smaller pieces of wood in the firebox so it will ignite quickly to maintain the boil,” he explained. The roof of the Northwest Park Sugarhouse is opened to allow out steam from boiling sap. 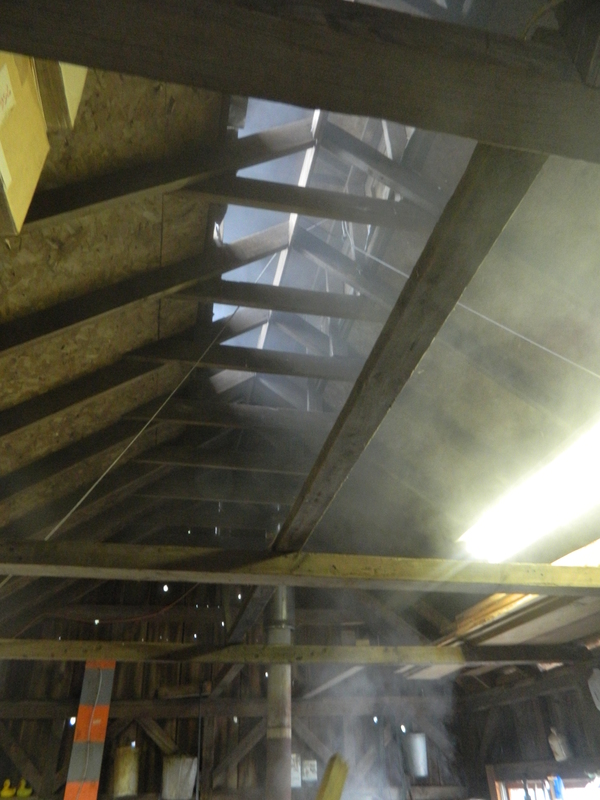 More and more steam rising from the boiling sap hampered visibility inside so Drake opened up the roof. A hydrometer placed in the boiling sap is used to test its thickness. Eventually, after the sap turns to syrup Drake eyeballs its color to determine if it is light or dark amber which contributes to grade A or B designation, a measure of flavor. 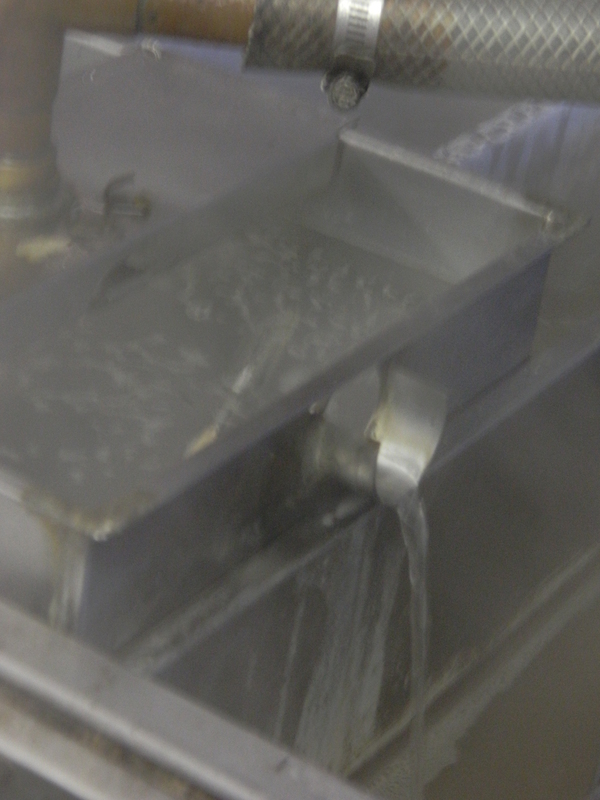 Once ready, the Northwest Park Sugarhouse syrup is poured into jugs and becomes part of the one percent of the world’s maple syrup that is produced in Connecticut. Sap color is eyeballed to determine if it is light or dark amber. On a warmer day Drake tells the visitors he would have put them to work, handing out buckets to go collect sap. Everyone from toddlers to grandparents and beyond is invited to participate, he said. Of the taps, 97 are right on park property. Some forty gallons of sap must be gathered to make just one gallon of syrup. 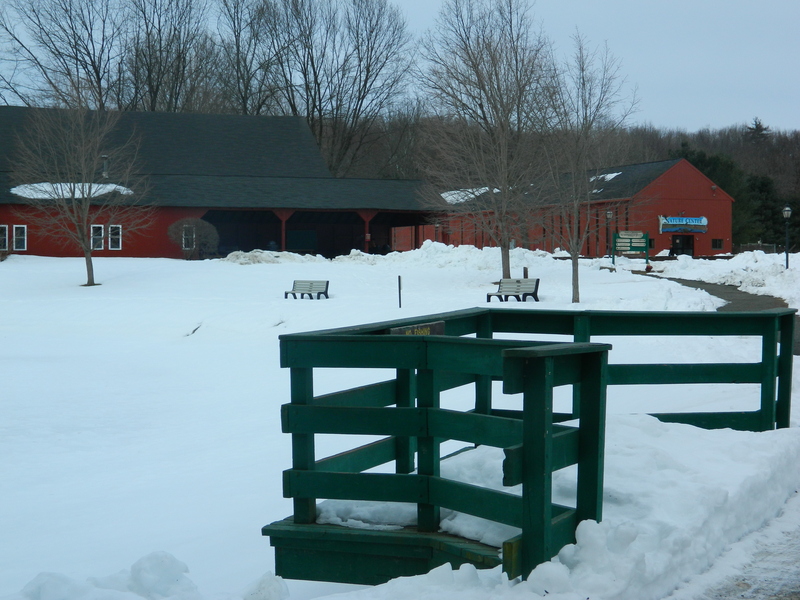 According to the Connecticut Department of Agriculture, the Northwest Park Sugarhouse is one of numerous maple producers in the state. Cold nights and brighter, sunny days common in New England at this time of year are cited by the DOAG as “requisite” for the production of maple sap. Northwest Park Sugarhouse in Windsor, Conn. 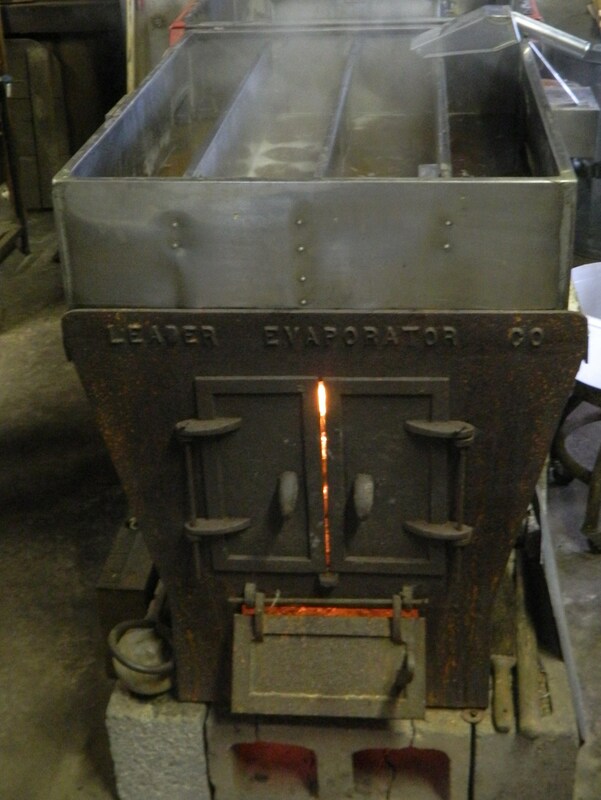 The evaporator is fired by seasoned wood. In addition to weekend demonstrations, the Northwest Park Sugarhouse is a popular destination for school field trips. Forty classes are slated to visit this season and the park is still accepting field trip appointments. 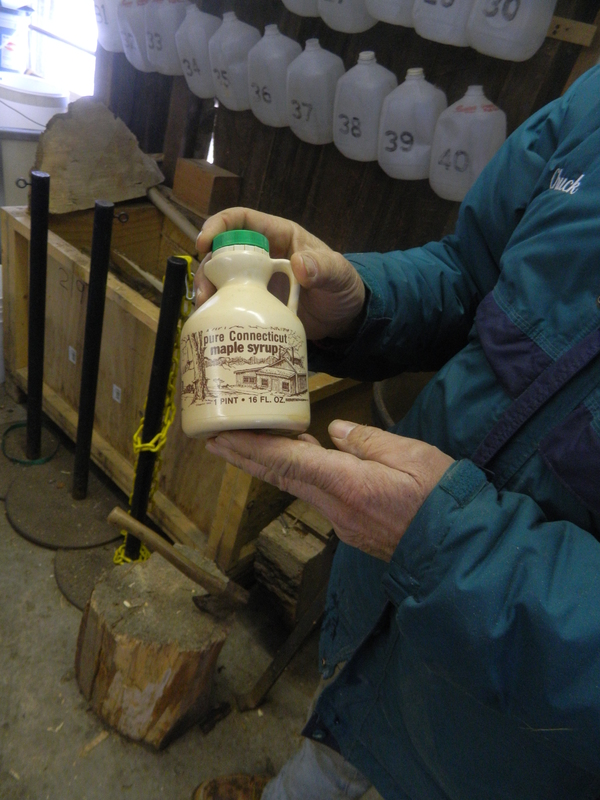 The primary purpose of the park’s maple sugaring program is educational Drake said. However, pints of the syrup produced here are sold for about $10. 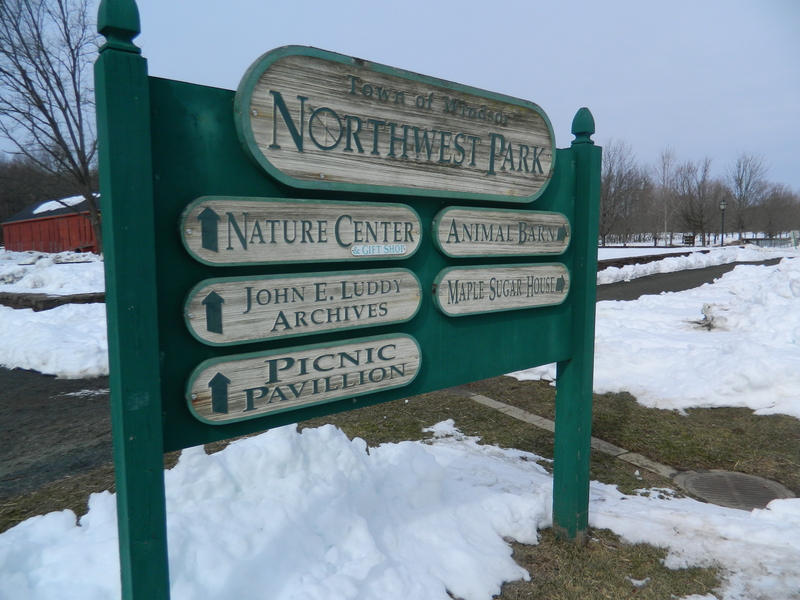 Beautiful Northwest Park is situated on 473 acres. “All the money goes back into the program,” said Drake.